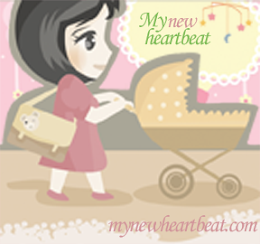 My New Heartbeat: What about us?! I feel left out. And not in a "no one on the playground will play me with" kind of way. In a much more, all-encompassing forgotten demographic kind of way. The more parenting/baby magazines I try to read, the more frustrated I get with the world. I have quickly come to realize during my pregnancy that my mommy-category is not catered to in most publications. Example one: I read an article about healthy food for pregnancy on a budget. But mostly everything on the list was organic or name-brand products. The budget for these so-called "cheaper eats" must have been based on that of a CEO. I am not living in poverty and can afford groceries, but I hardly think most of us can afford to spend a couple hundred bucks on ourselves just so we can eat $5 apples. How about a REAL pregnancy-friendly low cost diet? Like where to find the best online coupons, which items are safe to go generic on and how to maximize nutrition in fewer items? Example two: Every magazine includes the phrase "You and your husband" ... I will try to contain my rage at this point. Just because we aren't married doesn't mean we aren't interested in parenting publications. But the simple use of those words alienate a huge portion of potential readers. How many other mothers are out there who are not married? My guess is, a hella lot. But that doesn't necessarily mean we are single. There are single mom magazines, there are married mom magazines, but why can't I be an unmarried mom in a commited relationship and not feel like I don't count? Example three: Every photograph is of an older mom. Apparently only 30 to 40 year olds have children and care enough to read baby magazines. I'm not saying use teen mom models for every shoot. But let's diversify a little bit! Families start at all ages. I have a new dream in life now. Starting a parenting magazine that addresses every kind of partnership between parents, that shows images of all types of moms and doesn't assume we all make $100,000 a year. Probably a pipe dream, I would have no idea where to start, but maybe one day I can use this journalism degree, combine it with my motherly observations and birth a brain-child that all moms can relate to.